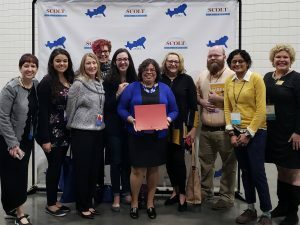 The Southern Conference on Language Teaching held it’s annual conference in Myrtle Beach March 21-23 and Kentucky was well represented. 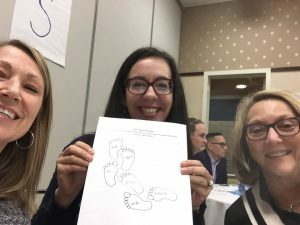 KWLA Board members Laura Youngworth (President), Jacque Van Houten (Past-President) and Jennifer Kennedy (Communications Director) attended the Leadership Luncheon on Thursday to network and discuss sustainable leadership with representatives from other organizations in the region. KWLA 2018 Outstanding Teacher of the Year, Catherine Del Valle, represented Kentucky and offered words of wisdom to World Language teachers at the Opening General Session and Awards. 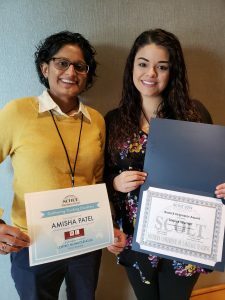 KWLA members from Fayette County Public Schools Amisha Patel and Jessica Warner won the Centro Mundolengua scholarship and Bostick Award. 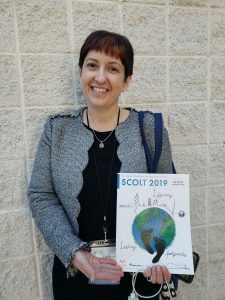 KWLA 2017 Outstanding Teacher of the Year, Christine Hutchins, started her tenure on the SCOLT board at the conclusion of the conference.